Last week, House Majority Leader Eric Cantor lost his bid for reelection early, falling unexpectedly in the Republican primary to a “tea party” challenger — by an 11-point margin. At least, the press was close to unanimous that that was what happened. “Eric Cantor Defeated by David Brat, Tea Party Challenger, in G.O.P. Primary Upset,” said the New York Times headline. “Eric Cantor defeat by tea party shakes Republican politics to its core,” as the L.A. Times headline put it. So does that mean the tea party is coming for other “establishment” Republicans now, and they better watch out? Well, if you’ll excuse the 2009-era political humor, what the hell is a tea party? You mean like playing in the backyard with their dolls? Or is this supposed to be a real political party? It sure doesn’t have a convention of any consequence or a platform or even a marked slot on ballots. Heck, this victory “it” just won was for the nomination in a Republican Party primary. In fact, the tea party as such isn’t really much more than a political brand — a shorthand for a more “populist,” anti-government approach to right-wing politics. In the view of some self-identified moderate conservatives, all this tea party business has even co-opted the Republican political brand: “Like cattle rustlers of old, Tea Party alters GOP brand in attempt to steal herd,” reads one political blog entry’s title. Which way does the brand co-opting work? Is ‘crystal’ co-opting gravy, or is ‘gravy’ co-opting crystal? Think about it. But in many ways, the tea party represents less of a pure populist approach, in the sense of a bottom-up grassroots movement, and more of an aggressively demagogued approach, in the sense that right-wing elites created and fostered the whole thing. Remember, it was born out of top-down, billionaire-funded advocacy work, and those are the same billionaires who bankroll big campaign pushes in favor of Republicans. The fundamental weakness in the Tea Party machine is the stark difference between what the leaders of the Tea Party elite, plutocrats like the Koch Brothers, want and what the average grassroots Tea Party follower wants….The fundamental contradiction here is not only that government didn’t cause many of the problems, but that the average citizen and even the average Tea Party member likes and wants to retain most of what government does, especially when it is broken down into its component parts. The average Tea Party member, like the average American, likes government run-Medicare, likes government-built highways, and likes government support for education, both higher and lower. Back in March, when Senate Minority Leader Mitch McConnell boasted about “crushing” Tea Party candidates everywhere, he wasn’t talking about marginalizing the right, but denuding a specific network of conservative organizations. And there he succeeded. But the real issue isn’t whether the “Tea Party,” now vanquished, has been a liability for the Republican Party, but whether the Republican electorate is fractious and reactionary, and has thus kept the Senate out of reach for Republicans two cycles in a row. The answer is yes. And Republicans have addressed that problem not by running shock and awe campaigns against individual “Tea Party” candidates, but by aligning behind candidates and incumbents conservative enough for the primary electorate yet polished enough (they hope) to avoid Akin-like admissions against interest. 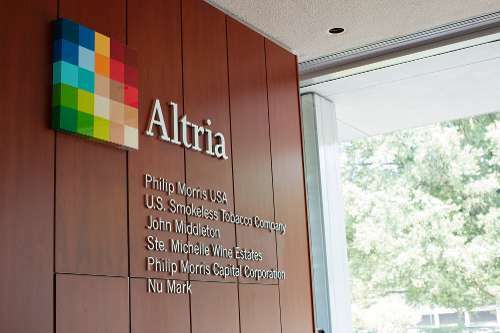 What’s an Altria? Oh well, doesn’t matter — they still make toxic cigarettes. Aha! This introduces a crucial distinction. A brand isn’t just marketing — it’s also a product, the actual goods or services that compose the basis for the marketing. Philip Morris still makes its money selling cancer sticks, even now that its parent company is called Altria. Changing the brand name doesn’t necessarily change the product, so likewise, organizing the extreme right-wingers whose views are so unpopular under the name ‘tea party’ may serve a valuable purpose for a shorthand reference to an intra-party faction, but the fundamental problem for Republicans is Republican voters. So did the tea party sink Eric Cantor? I guess so, but don’t let the branding mislead you. That’s a victory for a few thousand angry base voters, not something anybody is organized to build on nationally.